September 11, 2001, is a date that cannot be forgotten. It was a tragically defining moment for our nation, and, in many ways, for the entire world. Things have never been the same since. Today, 10 years later, if you are traveling by air, the gauntlet of security that you have to pass through is directly related to that day. Today, if you have a loved one serving in the military in Afghanistan or Iraq, they are on that foreign soil as a direct result of the events of that day. The visual images and the emotional impact of what happened on 9/11 have been permanently etched into our consciousness. It was a day of violence and bloodshed; an outbreak of evil resulting in untold suffering by the innocent; a day that caused people to ask questions like, “How could this be permitted by an all-powerful, all-loving God?” and “What good can ever come out of such a tragedy?” But, it was also a day that unified our nation and galvanized our resolve. 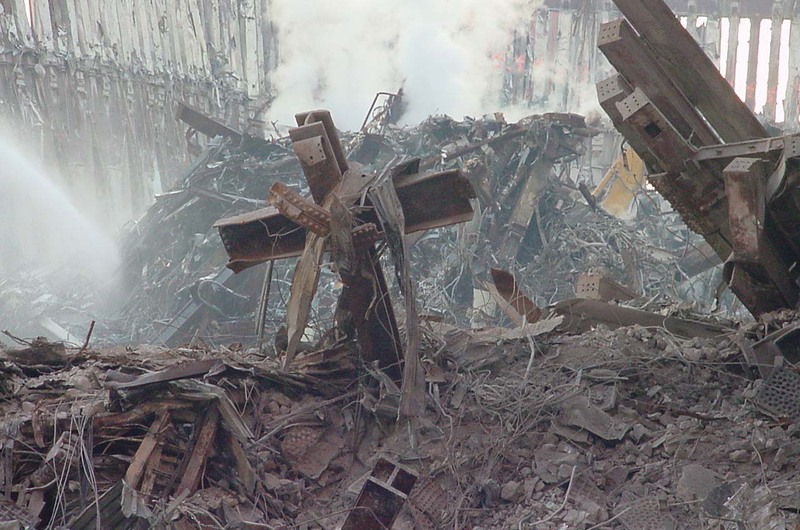 Regardless of our various personal backgrounds, ethnicities, accents, and political ideologies, we were Americans, and we stood together that day. It is hard to imagine the impact of 9/11 diminishing with time, but it inevitably will; not to ever be entirely forgotten, but, in future decades, it will become increasingly more historical and cerebral in nature, and less personal and emotional, just as has been the case with December 7, 1941 (70 years ago; a defining event for my grandparents’ generation) and November 22, 1963 (a turning point for my parents’ generation). To some of you, those dates are extremely meaningful and deeply personal, because you lived through those events. To those of us who are younger, they are certainly identifiable and notable dates, but framed within the context of a distant, historical past. But, the passing of nearly 2,000 years has not diminished the memory of that day in the least. On the contrary, the number of those who memorialize the death that took place at Golgotha has never decreased, but has multiplied exponentially with every passing year. The passage of two millennia has not caused the death of Jesus Christ for the sins of the world to pass into obscurity, but has only resulted in increased reflection, meditation, understanding, and clarity through the centuries; an event that is relived, reenacted, and celebrated every single Lord’s Day in the breaking of the bread and the drinking of the wine. This is a memorial meal that unifies us, regardless of our personal backgrounds, ethnicities, accents, and political ideologies. We are Christians. The blood that flowed from Jesus that day, the sacrifice that cleanses us from all sin, has made us one. This we do today, because we remember. This we do today, because the world has never been the same. That was very good, thanks for that, Tim. Strange that it was ten years ago already.